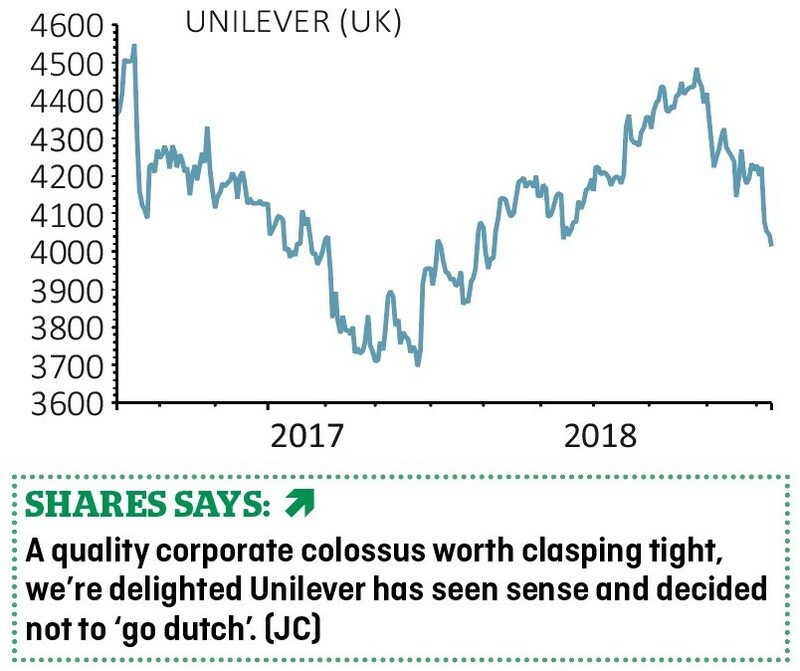 Our late 2017 ‘buy’ call on packaged consumer goods giant Unilever (ULVR) may be slightly in the red, but we’re sticking with the high-quality business. In a seismic development, the board at the Persil, PG Tips, Marmite and Magnum maker has capitulated to shareholder pressure and scrapped its plan to shift Unilever’s headquarters to the Netherlands. This means Unilever is going to stay in FTSE 100, although the board’s reputation has arguably been damaged by the episode. The blue chip company is a unique asset, a compounding star turn offering exposure to emerging markets. Boasting an enviable portfolio of brands, deep entrenchment in the supply chains of its retailers is the source of Unilever’s wide economic moat and the company has reasonably predictable earnings. 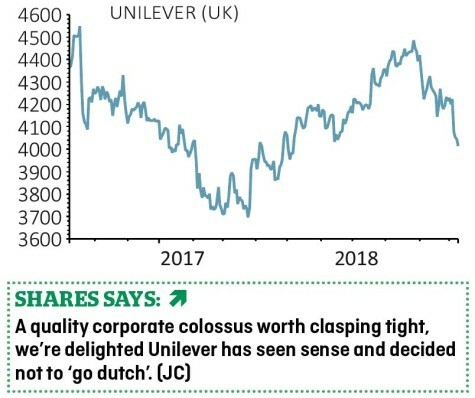 Strong cash flows have enabled Unilever to consistently grow its dividend in real terms for decades and the shareholder reward is being supplemented by share buybacks.